About.me is a virtual equivalent of LinkedIn, minus the noise of cluttered LinkedIn Groups and the constant stream of homepage posts. It's best to approach your About.me profile as you would your LinkedIn profile or job resume. 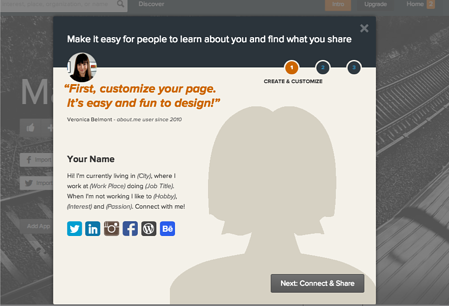 It's a virtual business card, and when you set up your About.me profile, the website will remind you of that very fact. Many About.me profiles also have all the same information that a LinkedIn profile would, except it's a much more visually appealing tool than its counterpart. With that said, lets dive into why you should use About.me for sales prospecting and how to go about creating a visually stunning and sales optimized profile page. The major benefit I like to harp on when talking about About.me, is the fact that you can introduce yourself to any other user from the site, a stark contrast from the modus operandi of having to have a third party introduce you to a connection on LinkedIn. If you see someone on About.me that appeals to you, it's as simple as a click of a button and instantaneoulsy that user will be alerted on their homepage when they log in. Moreover, About.me allows you to connect with another user in a host of different ways. 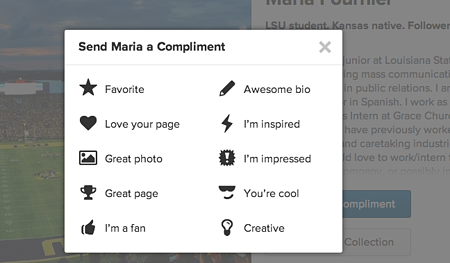 If you're "inspired" by somebody's profile there's a button for that. 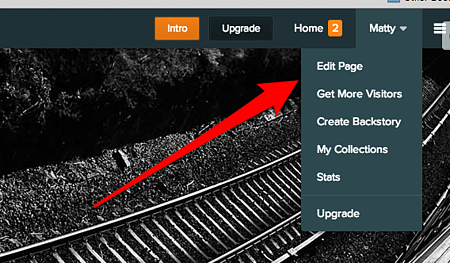 If you think the user has a great page, there's also a button for that. I don't want to keep repeating myself, but you can go on and on in the way you make your first touch point with a person. Since it's also vastly underutilized, most users are happy to see somebody reach out to them on the app, and about half the time you'll get some form of a response back (a very important feature for sales which I talk about in my About.me Ebook). Going off that note, it's also easy to revisit all past introductions and interaction you've had with other users by simply clicking into your past history. Not a bad feature for all those past prospects you've connected with! While there are many good practices in which to use About.me for your sales efforts, here are some of my more resounding practices that have worked for me in the past. Adhere to them, and you should be in good sales standing. As a quick aside, you'll be amazed at how many people visit your profile, even if you haven't utilized some of the best practices below. Spend about 10 minutes per day using the About.me app to find and connect with prospects. It doesn't take much effort to find high quality leads while doing the bare minimum. Be sure to respond to any and all inbound requests or interactions with people who complimented your profile. Create industry specific or interest based lists to keep track of prospects, much in the way you would a Twitter list. By doing this you can always check back with these lists to discover potentially good prospects to connect/reconnect with. Get the mobile About.me Intro app. Why should you do this? 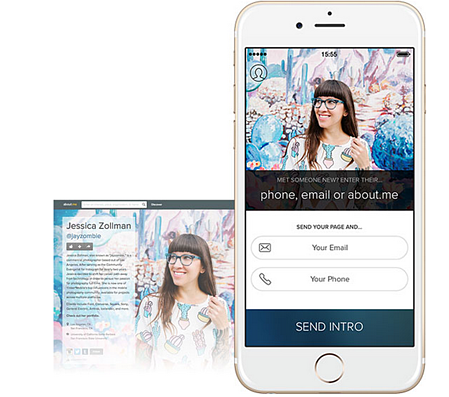 Because even mashable wrote about how the About.me Intro app revamped the entire idea behind the business card (seriously, About.me wants to change the way we think about the business card). Now that I've conveyed (hopefully) the benefits of using About.me, one of the most vastly underutilized tools in the sales playbook, lets dive into how we should go about creating an optimized About.me profile. 1. 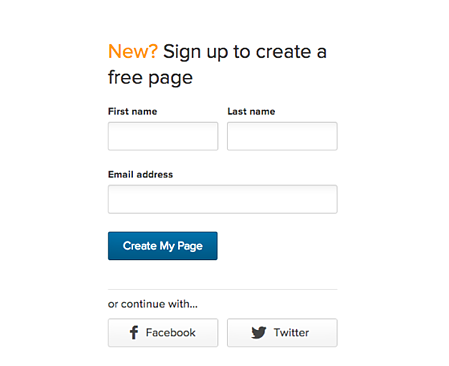 Naviagte to the About.me homepage and select the login credentials you'd like to use. 2. Use the intuitive startup wizard tutorial to go through all the features of the About.me application. 3. 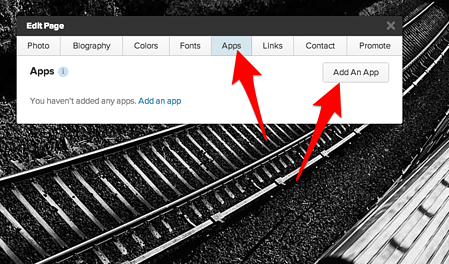 Click your name in the top right corner and select Edit Page from the dropdown. 4. Fill in your most pertinent business background info underneath the biography tab. Sales Tip: Use the link property highlighted below to link to content you believe would be meaningful for your contacts to view. 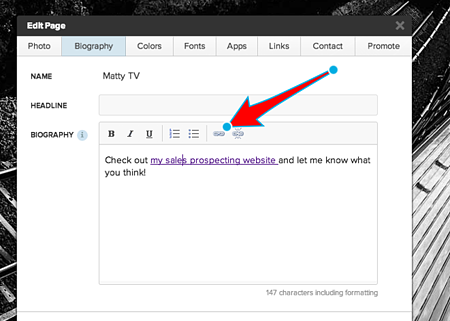 Ideally linking to company blog posts & content is a great way to introduce your about.me prospects to your product. Be sure to also include good keyword rich anchor text for higher SEO rankings in Google searches! 5. Navigate over to the Apps tab to connect all your social media accounts. 6. 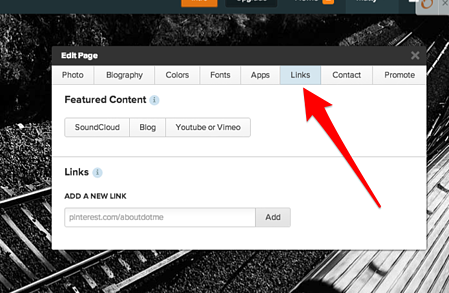 Lastly, be sure to include more links to some of the more prominent content on your company website by clicking the Links tab. And there it is! You now have an optimimized, sales friendly About.me profile that should win you over prospects on one of the lesser utilized social media websites among Salesmen. Also, if you'd like to dive into specific strategies on using the About.me wesbite for your sales prospecting efforts, please feel free to grab the ebook below.